Few of us can say that we have stood before God face to face. There are those who claim to have had mediated encounters with the divine, such as Near Death Experiences, but these can’t be verified, so we are wise to treat them with a degree of skepticism. As a result, the majority of us walk by faith, seeing God present in more mundane ways – in the glories of a sunset or something similar. In the biblical story, however, there are instances of divine-human encounters where the glory that is God is revealed as the veil that covers human eyes is removed and they can perceive what is normally imperceptible. 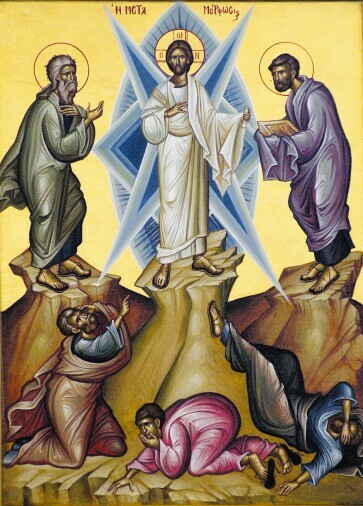 It is Transfiguration Sunday. The light that first burned in the sky over Bethlehem is now revealed in the person of Jesus. We see in him the full glory of God, or at least that glory is revealed, but do we see and understand? The three texts for this week that I shall lift up include the story of Moses’ final visit to Mount Sinai to receive the Tablets of the Law and its aftermath, and then Paul’s reflection on the fading of the light in Moses’ veiled face. Since it is Transfiguration Sunday, we shall begin with the Gospel Reading and allow it to set the stage for the conversation. 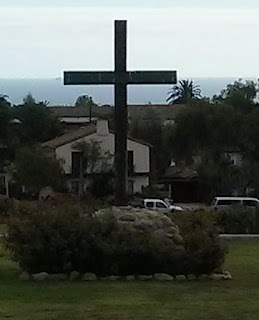 It’s been eight days since Jesus fed the 5000, Peter had declared Jesus to be the Messiah, and Jesus had told them that he would die and be resurrected, as well as inviting them to take up their own cross and follow him. Now Jesus takes Peter, John, and James up to the mountain with him to pray. It’s while he’s praying that he is transfigured. His face begins to shine brightly, and his clothes turn a dazzling white. At the same time Moses and Elijah appear – representing the Prophetic Order of God. Prophets are called upon to bring God’s Word to the people. They’re mediators of the Covenant. They have a special connection, and their presence serves as a sign that Jesus is numbered with them. Moses is charged with delivering the people from slavery and then delivering to them the Law, what Peter Goodwin Heltzel refers to as the “baseline of the song of Israel.” They are the “liberating constraints that would provide the musical boundaries of Israel’s song of salvation,” and are the “embodiment of God’s shalom justice, clearly delineating the ways that we are to relate to God and humanity” (Resurrection City, Eerdmans, 2012, p. 36). On the mountain top, these three figures have a conversation, and in the course of the conversation the glory of God is unveiled, but Jesus’ companions miss the point. They decide they need to build shrines or tents for the three. They have to do something and thus miss experiencing the transformative encounter with the divine. They miss the point of the connection of Jesus to the preceding revelations of God. Their eyes remain veiled, at least until a cloud envelopes them and a voice from the cloud declares that Jesus is “my Son, my chosen one.” This left the three disciples speechless. The question is – did they realize that the veil that was lifted was the one that revealed the true identity of Jesus. For those of us who embrace the idea of Chalcedon, that in Jesus we encounter full humanity and full divinity, did they perceive that full divinity unveiled? And from that question comes another -- had this encounter transformed their lives? Were their spiritual eyes opened to see the deep things of God revealed in the person of Jesus? Did they really understand the identity of the one they followed? Do we? Standing in the background to the Transfiguration story are Moses’ visits with God on Mount Sinai. God invites Moses to come and visit, to encounter God “face to face” on several occasions. On the occasion of this story, Moses comes down from the mountain, bringing him the two covenant tablets (The Ten Commandments). He has been in the presence of God, and his face glows from that encounter, but he doesn’t perceive this at first, but soon realizes that something has happened because Aaron and the people stand back from him. Finally he’s able to draw them closer so that he can share with them what God had shared with him on Mount Sinai. But once he had finished, he placed a veil over his face. It was said (vs. 34) that whenever Moses entered the Lord’s presence, he would remove the veil, but then put it back on when he came away from God’s presence, so that the glory of God would not overwhelm them. Why is it, do you think that we find it difficult to stand before God with unveiled faces? What is it about God that we seem unable or unwilling to face? I close with Paul’s meditation on Moses’ experiences and that of the people of Israel. As we read this text, we must be careful not to embrace a supersessionist reading. It is easy to take this passage in an anti-Jewish direction. We see the truth in the Scriptures, where they did not. It is important to remember that Paul is Jewish and he is calling out co-religionists, in much the same way as earlier prophets had. For Paul, however, Jesus offers a means of unveiling our eyes. But before we get there it would be helpful to hear the message of Moses’ veil. Paul suggests that the veil that had shielded the people from the blazing glory of God that shone on Moses’ face after his encounters with the divine later served to hide the fact that this glory was fading, and he didn’t wish to admit it. As long as he wore the veil, people could assume that he was still basking the glow of those encounters. How often do we try to cover up the fact that our own encounters fade with time, and need to be renewed? I was reminded this week in a conversation with a study group focused on the topic of salvation, that salvation isn’t merely a one-time affair, but is something that occurs many times in life, as God’s healing presence touches our lives. Moses’ story, however, reminds us that mountain top experiences, though often transformative and glorious fade with time. Our relationship with God can’t be sustained by those singular events. The ceremony in which Cheryl and I covenanted together to by husband and wife some thirty years ago was a glorious experience, but that experience by itself is not sufficient to sustain our marriage over time. That relationship must be continually rekindled, and the same is true of our relationship with God, only too often we are afraid to admit that our less dramatic encounters with God are fewer and farther between than necessary to sustain the relationship. Paul builds on this idea and speaks of his compatriots’ inability to see the word that God seeks to bring to them, a word that is only revealed, Paul says, as Christ removes their veil. But when it is removed, and the glory of God is revealed, then the people can experience the freedom of the Spirit. In Christ, Paul says, we are enabled to view the glory of the Lord with unveiled faces. And this encounter leads to transformation – we are transfigured “from one degree of glory to the next degree of glory.” Now, in Paul’s case, he has an issue to deal with – He’s facing resistance to his ministry, but he assures the people that having been transformed by his encounter with God in Christ, he and his team, having received the mercy of Christ, don’t engage in secretive and shameful actions. They don’t use deception and don’t try to manipulate people. They rest in their proclamation of God’s truth publicly. You might say it this way: What you see is what you get. No veils, no secrecy, no pretending. So what is the message for us this Transfiguration Sunday? Could it be an invitation to enter the transforming presence of God so that we might see God with unveiled faces? And having had these encounters, will we recognize what is happening around us, or will we, like the three disciples remain confused by the events? Or will we see God and be transformed by this encounter so that we might share in the glory that is God and thus find our true selves?